Strong Rubber (Butadience Compound) Traffic Cat Eye Develop as per the quality parameters, our rubber cat eyes are used for traffic guidance in both, heavy and light traffic. 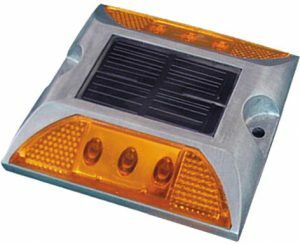 The product helps in avoiding accidents by controlling speed of incoming vehicles and provide high visibility guidance to drivers at night or during harsh weather. Colors available: Black / Yellow / Red / White colours. Taffic Cat Eye is made out of Strong Rubber ( Butadiene Compound) material. UV Stabilized and Special material composition to bear the high impact strength. Fitted with 2 Nos. of highly Reflective PMMA Reflectors. In built 2 holes for fixing with specially designed Nails. 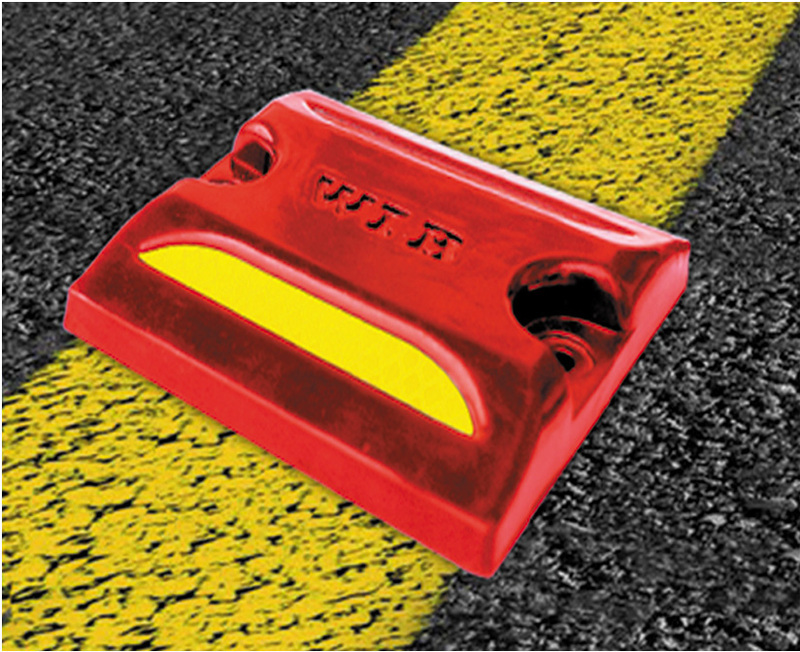 Road stud is made out of Strong Rubber (Butadiene Compound) material. UV Stabilized and Special material composition to bear the high impact strength. Fitted with 2 Nos. of highly Reflective PMMA Reflectors. In built 2 steel studs. Aluminium Road Stud is made out of aluminium alloy material to bear the high impact strength. In built 2 steel studs. Fitted with 2 Nos. of highly Reflective PMMA Reflectors. Solar Cat Eyes are LED blinking devices with easy installation and no electricity cost. Auto Switch On and Auto Switch Off. No mainternace required. Equiped with 6 LEDs (3 on each side).